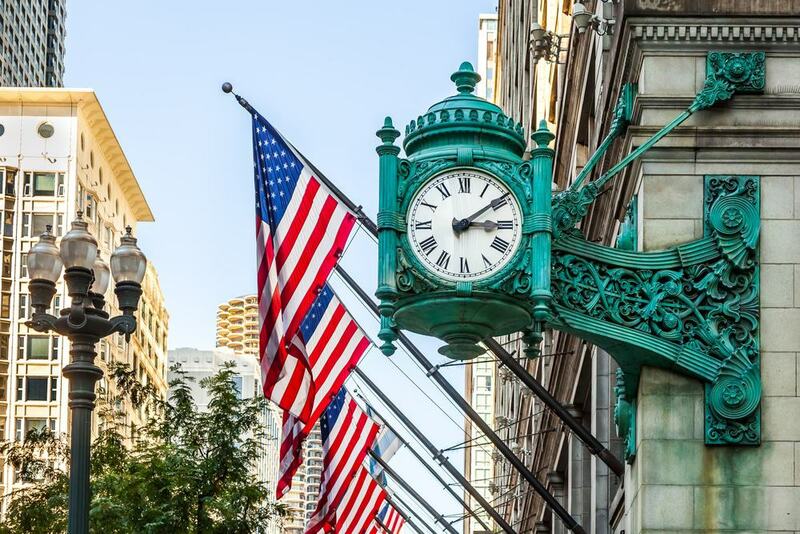 When you’re visiting Chicago, head for the downtown district and you’ll be in The Loop. It’s more than an urban spread of cloud-high skyscrapers and cultural recreation centers. You’ll be amazed by what you find. 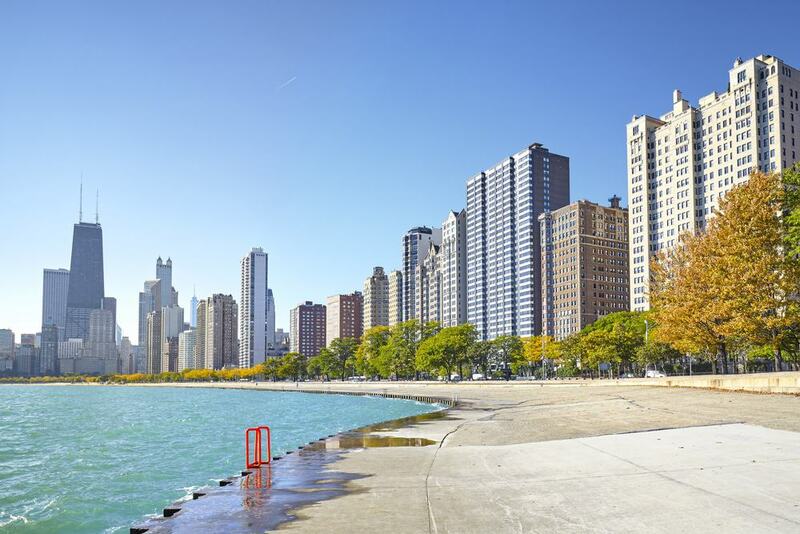 The Loop is a community area of the city which covers over one and a half square miles, is fronted by the stunning shoreline of Lake Michigan and backed by the Chicago River. There are lakeside trails, riverside walks, and enormous parks as well as museums, art galleries, and historical monuments. While you may be in the city, you can be forgiven for thinking you’re in a coastal resort as there are several beaches within a few minutes of the Loop too. Downtown Chicago really is a suburb of the city which has it all and more. Don’t miss out on any of these fifteen fantastic things to do while you’re there. You’ll be kicking yourself if you do. By day or night one of the best ways to take in the Loop skyline is from on the water. Board a boat at the Navy Pier and be prepared to be impressed by sights of Downtown Chicago as you sail by. 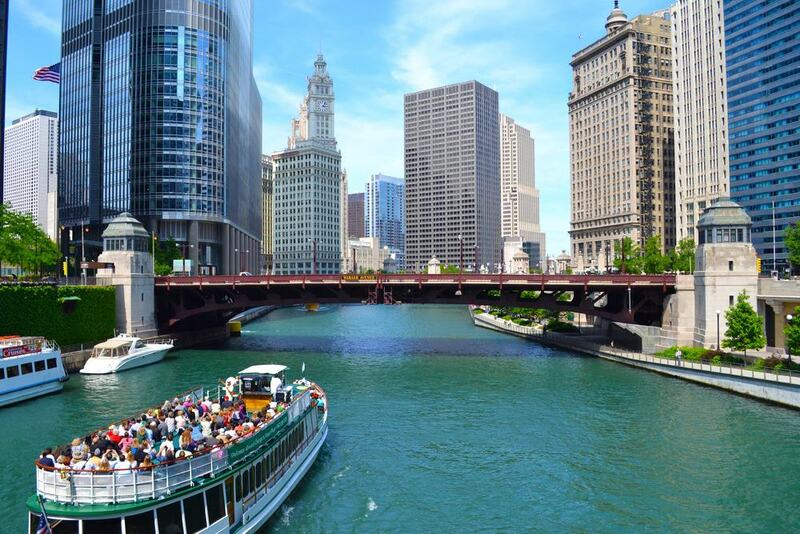 Whether you take a cruise down the Chicago River or on Lake Michigan, you’ll get stunning and unforgettable panoramic views of iconic buildings and the Loop’s prominent monuments. There are lunch, brunch or dinner cruises. Cruises for sightseeing or ones which offer educational information on the city’s architecture. For adrenaline junkies, there are speedboat tours and extreme thrill rides which will get your heart pumping as you speed over the water at 45 mph. For the romantics, watch the fireworks display on Navy Pier light up the night sky from a cruise boat. Combine that with dinner onboard and a spot of dancing for a perfect night out Loop-style. Catch an eyeful of The Picasso. An arresting, unnamed sculpture which dominates the Loop’s Daley Plaza. The weighty steel sculpture stands around fifty-foot tall, and is the subject of an ongoing, fifty-year long debate as to what it actually represents. Is it a winged horse, a dog or a Cubist representation of a preferred model? Your guess will be as good as anyone else’s. 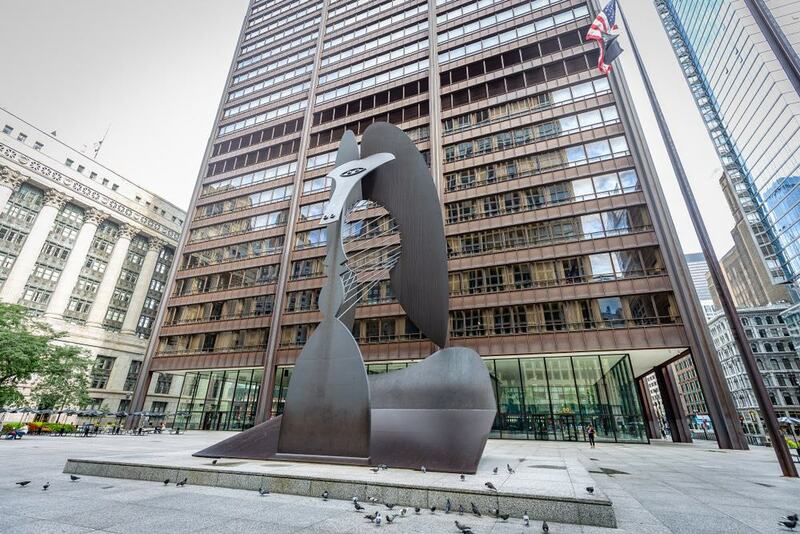 The Picasso, or the Chicago Picasso, which was a gift to the city from the famous French artist, makes an unusual and outstanding presence in the plaza. The sculpture has also been a background prop in several well-known movies and as strange a visage as it has, it’s surprisingly photogenic. The sculpture makes an interesting centerpiece in the plaza during the festive or farmer’s markets and music events which are held there regularly. There are three things you just have to try when you’re in Downtown Chicago. They’re all iconic foodstuffs which the city claims to have created or has adopted as its own. Chicago-style pizza is double deep-dish high and when its cut, as thick as a slice of cake. Oozing with chunky tomato sauce, melted cheese and layer upon layer of whatever other ingredient takes your fancy, it’s been a staple comfort food of the city for over seventy years. 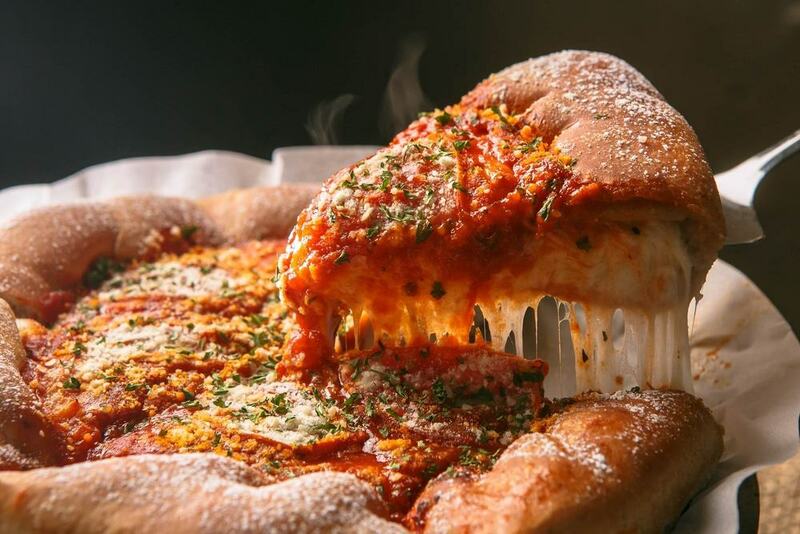 Sink your teeth into a slice at Pizano’s on Madison Street or Giordano’s on Randolph Street. Chicago-style popcorn is an unusual, but tasty combination of two different flavors of popcorn. Cheesy kernels are mixed with others which have been coated with caramel for a unique taste sensation which has not just Chicago, but the whole state of Illinois, addicted. No one knows for sure how it came about and no one’s too worried so long as they keep making it. You can get yourself a bucketful at Garrett’s on E Madison Street. The official pie of the state of Illinois is pumpkin pie. Spiced with cinnamon and with a pastry crust base to keep all that pumpkin custard under control, it’s a filling sweet treat. Don’t miss out on grabbing a slice or two while you’re in the Loop. The Willis Tower or the Sears Tower as it’s also known once held the number one position as the tallest building in the world. 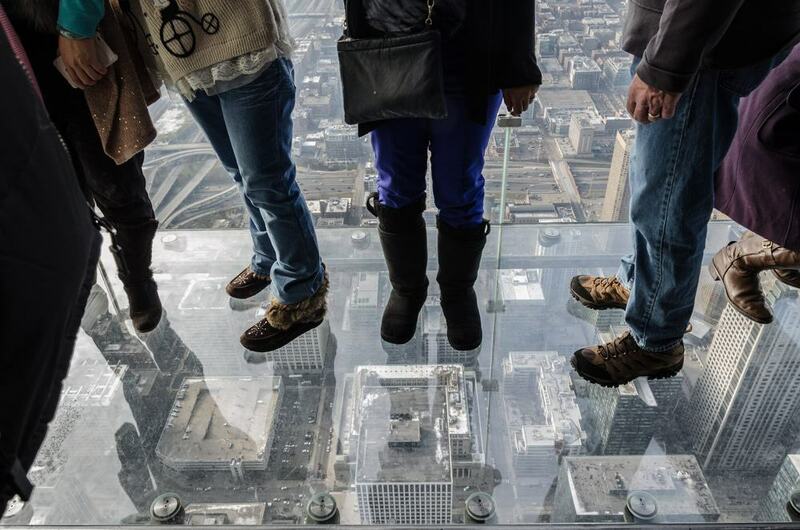 While it’s now been surpassed by several others, its observation deck is still the highest in the US at one thousand three hundred and fifty-three dizzying feet. There are incredible views of Chicago and Lake Madison through the deck’s windows. If you’ve got the nerve, you can make the experience even more memorable. Step onto The Ledge, a glass-walled and glass-floored box which juts four feet out of the building – one hundred and three floors above the ground. If you’re on the Ledge and feel as if you’re developing vertigo, don’t worry. It’ll just the building swaying in the wind. The Lakeside Trail is a nineteen mile long, asphalt and concrete pathway which runs adjacent to Lake Michigan shoreline from the South Shore Cultural Center in Chicago to the city’s Kathy Osterman Beach. Part of the trail runs through the Loop, and it’s the ideal place to get some fresh air and exercise. Renting a bicycle or a pair of inline skates is a fun thing to do if you don’t want to walk or jog. You can access the trail from Grant Park or E Monroe Street as well as various other points throughout the Loop. Riding or walking out to the Adler Planetarium is recommended. You’ll get some great views of the Loop skyline from there. Head to East Adams Street, just off South Michigan Avenue in Downtown Chicago and look up. You’ll find a surprising historic monument there which will make a great photo for your Instagram account. Snap a shot with the historic Route 66 sign to get your own personal memento of the iconic highway. 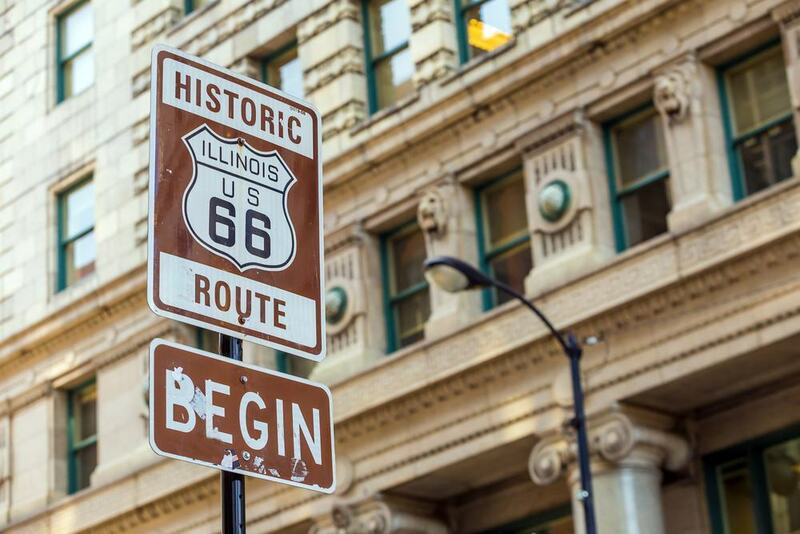 Route 66 is probably the most well-known highway in the world and has been immortalized in films, songs and stories. The original road was almost four thousand miles long and stretched from Chicago right the way across the US to Santa Monica in California. It begins, and ends, in the Loop. 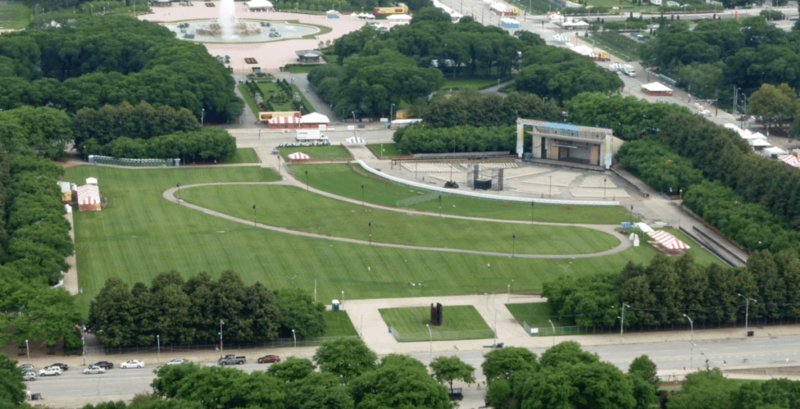 Grant Park is the Loop’s three-hundred and nineteen-acre green space which is bordered by Lake Michigan. Its wide boulevards are perfect for strolling; there are numerous flower gardens, fountains, monuments, and a three-acre skate park. Inside its boundaries, Grant Park encompasses three other parks, the Millennium, the Maggie Daley and the Hutchinson Field, which offer visitors access to sporting facilities and artwork. Two marinas, a university campus and the Art Institute of Chicago. 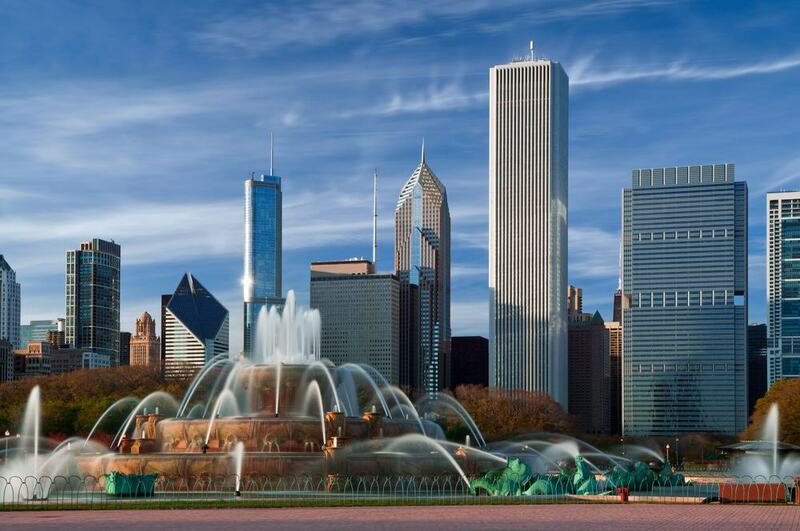 It’s also where the Petrillo Music Shell, the Cloud Gate and the Buckingham Fountain are. All of those, you can read about further on. The park hosts amazing food and music festivals throughout the year. 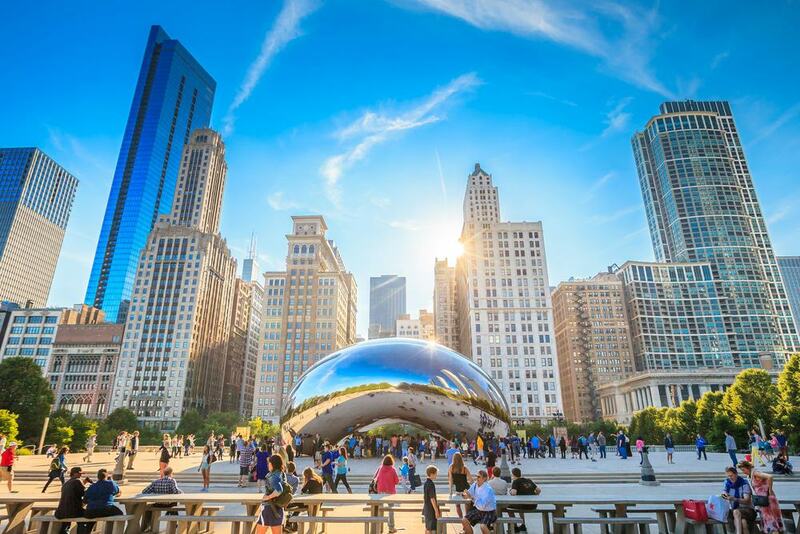 Time your visit to coincide with The Taste Chicago, Lollapalooza or the Chicago Blues Festival and you’ll see the park thronged with crowds. Don’t miss out on seeing the Agora, a weird and wonderful sculpture comprised of over a hundred headless and armless figures. It’s definitely photo-worthy. When you’re in Downtown Chicago, there’s one thing you have to do, and that’s listen to some Blues. In the Loop, one of the best clubs to do that is Buddy Guy’s Legends. The club is owned by Blues legend Buddy Guy, winner of seven Grammy awards plus a whole lot more and has influenced more musicians than he’s had hot dinners. Now at the age of eighty-one, he’s not on the stage every night, but other top Blues musicians are. There are live shows nightly and an in-house restaurant which serves Louisiana soul food in honor of Buddy’s ancestral roots. The Cloud Gate is one public sculpture you can’t walk past without noticing. The one hundred ton, shiny stainless steel “bean” which was inspired by a droplet of mercury, is eye-boggling. The Cloud Gate is in the AT&T Plaza in Millennium Park. Walk underneath the Gate’s arch and look up to see a distorted version of yourself and those around you. It’s an unusual experience. Stand at a distance from the Cloud Gate to capture a photo of the Loop’s twisted skyscrapers reflected on the sculpture’s curved surface. Amazing. The Loop Retail Historic District is much more than departments stores. This area of the Loop which covers over twenty-six acres is full of historic buildings and landmarks which are just as interesting from the outside as they are on the inside. If you feel the need to shop, step into Macy’s on State Street. The store covers a full eight floors of retail space and ranks as the second largest store in the world. Clock the two seven-ton timepieces attached to the corners of the building before you go in because once you’re inside, you’ll forget about time completely. Wander down the Loop’s Riverside Walk, and you’ll find more than a towpath running alongside the water. The mile and a quarter long paved pathway is lined with beer gardens, restaurants with terraces and cafes. 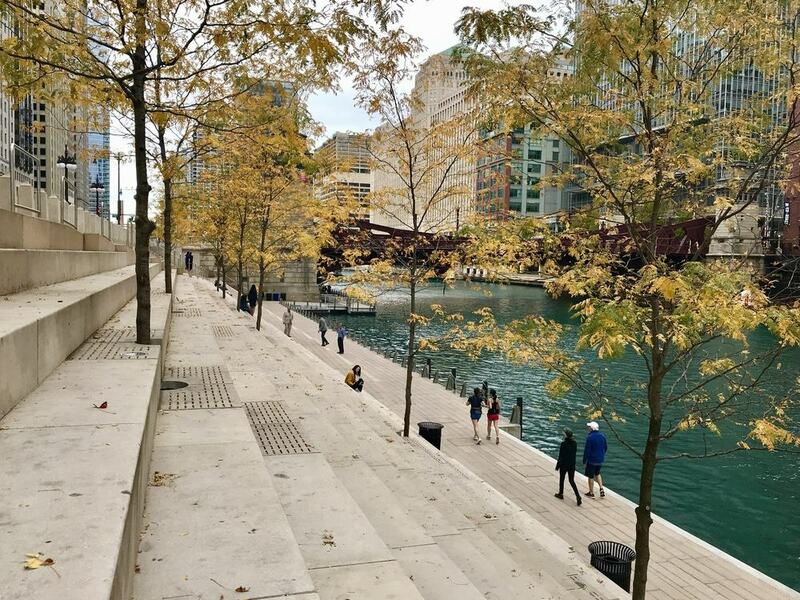 More than just a walk by the riverside, the Riverside Walk is one of the best social hubs in Downtown Chicago. Don’t miss out on trying a traditional and handmade Italian ice cream from the old-fashioned handcart. Their flavors are to sigh for. 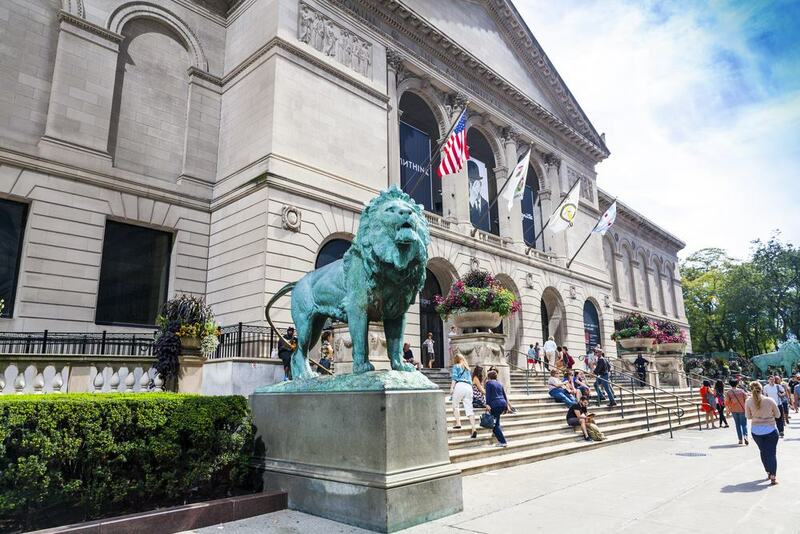 The Art Institute of Chicago, on South Michigan Avenue in Grants Park, may be housed in what looks like a forbidding mausoleum, but inside it’s an absolute trove of treasures. It takes a full day to browse around as there is so much to see. The museum has over three-hundred thousand permanent exhibitions plus hosts countless temporary exhibits throughout the year. The artworks are not restricted to American artists. There are numerous and varied collections displaying the works of notable artists from all over the world in multiple forms which range from oils and watercolors to photographs, prints, textiles, and furniture. 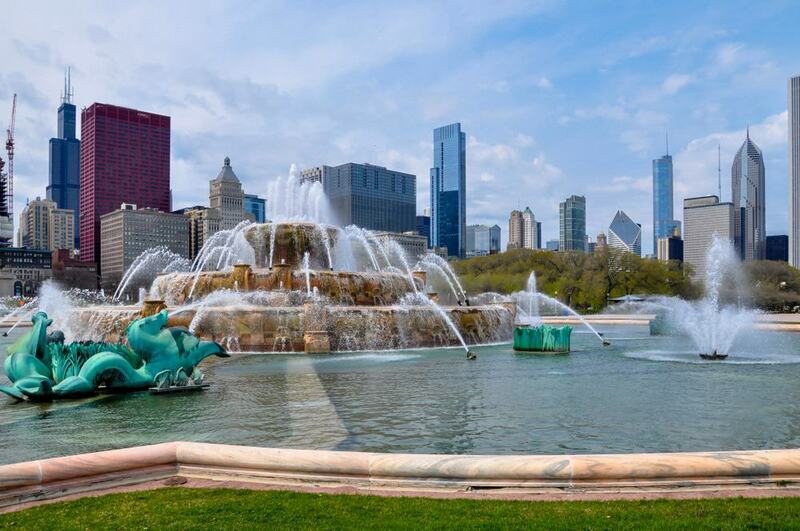 The Clarence Buckingham Memorial Fountain, to give it its full title, is not only the centerpiece of Grants Park and the symbolic feature of the city of Chicago, it is one of the largest fountains in the world. The magnificent fountain is tiered in layer upon layer of pink marble, surrounded by eight seahorses and has a central jet which spurts water to a phenomenal height of one-hundred and fifty feet. Catch the hourly water shows from the middle of April through to mid-October or the evening performances when the sprays dance in rhythm with lights and music. Impressive. If there’s an outdoor music festival happening in the Loop, it’ll be happening at the Petrillo Music Shell in Grants Park. The Shell houses a massive stage plus all the high-tech sound and lighting equipment needed to satisfy even the most discerning of performers and audiences. It’s fronted by tiered seating for five thousand and enough lawn space to accommodate thirty thousand spectators more. Whether you watch the live bands performing at the Taste of Chicago or attend the Chicago Blues Festival there, guaranteed, the atmosphere will be buzzing. Eat, drink and maybe spot a celebrity at one of the Loop’s oldest establishments. Miller’s Pub, on S Wabash Street, has been operating since 1935 and has been in the ownership of its current proprietors since 1950. Check out the gallery of famous faces on the picture wall, then sit back in one of the booths and enjoy a rack of Miller’s infamous ribs or their trademarked, HenryJ corned beef hash followed by a slice of Key Lime Pie. 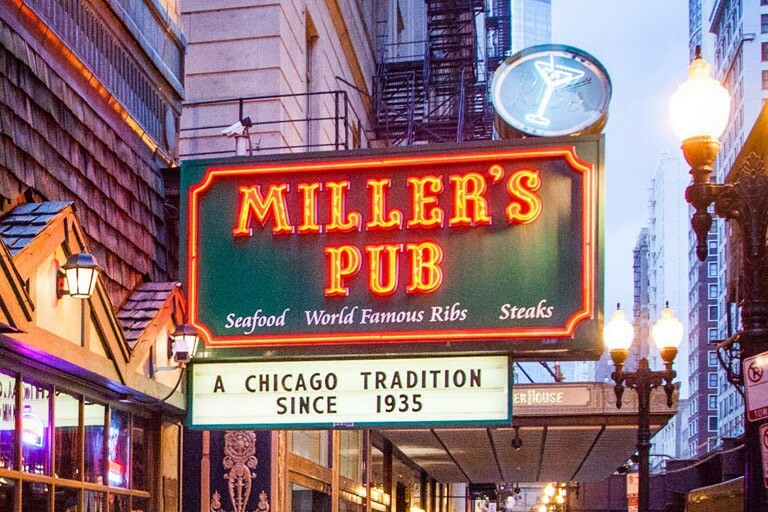 Miller’s is a Loop tradition, don’t miss out on dining there.